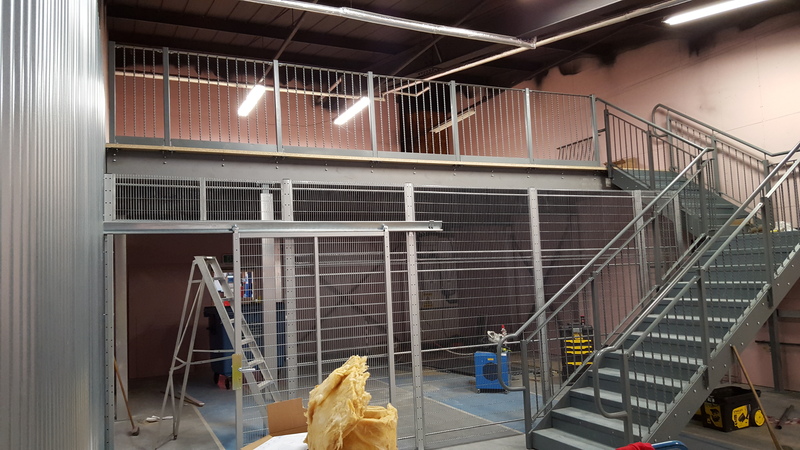 What started out as a simple mezzanine floor to provide a raised VIP lounge viewing area soon turned into an exciting challenge when it became clear our client had very specific demands for the appearance of the structure. Once we had met on site it was also clear there would need to be very careful design to maximise clearances and head clearance in a restricted height area. Bradfields worked closely with the client on colour finishes until a palette of complementing colours and finishes was agreed. 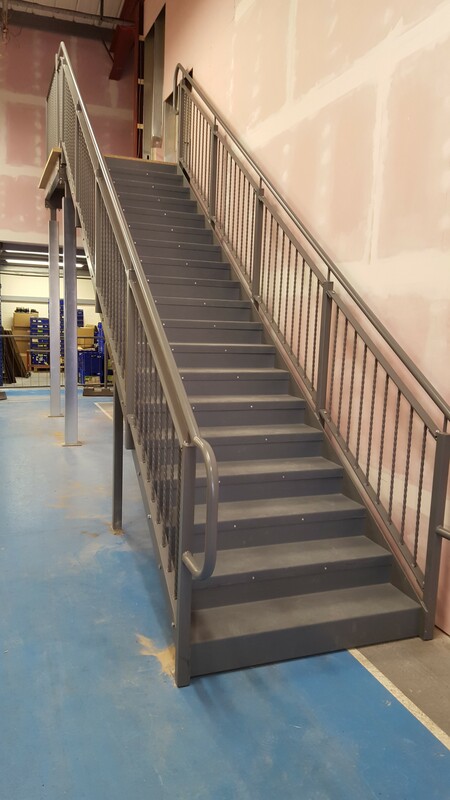 We designed, manufactured and installed unique design balustrades and handrails, finished in durable matte epoxy powdercoat finish. 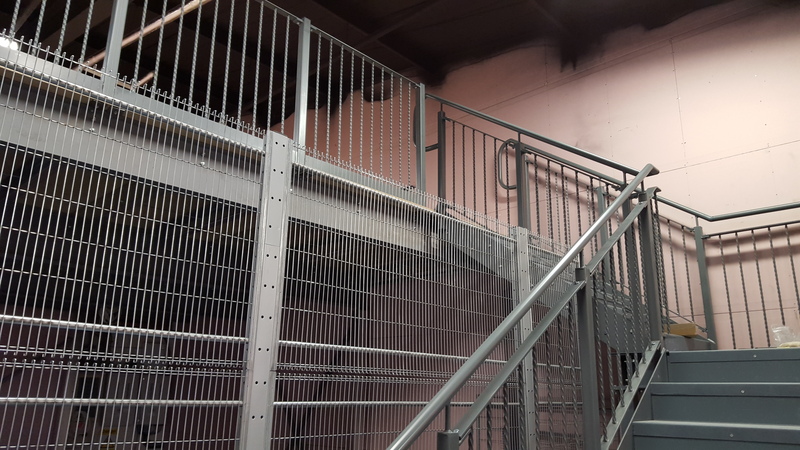 A test area below the lounge was enclosed with steel mesh partitioning with a durable and contrasting zinc passivated finish. 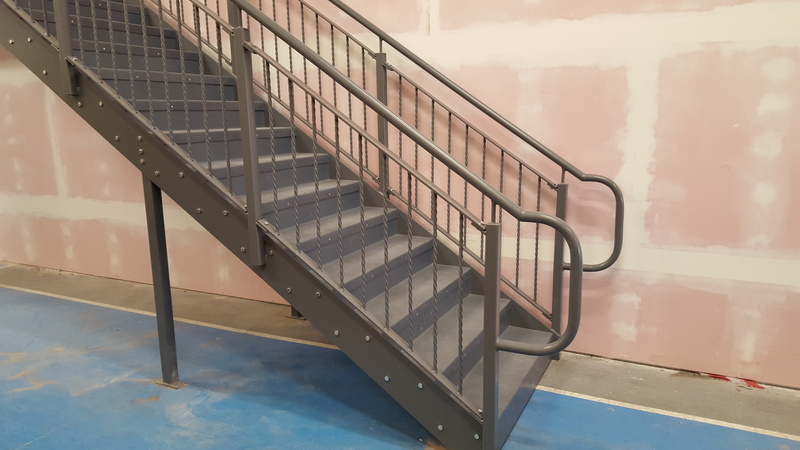 Staircases had to be designed and manufactured with bespoke landings to fit within the confines of the building and comply with Building Regulations and Fire Officer requirements. Finally we needed to install a doorway in the mesh partitioning but there was not room to fit a conventional hinged door so a sliding unit was provided instead. We reached the final design together by Bradfields supplying samples of all the various colours, finishes and materials as samples, mainly being individually prepared in our own factory. 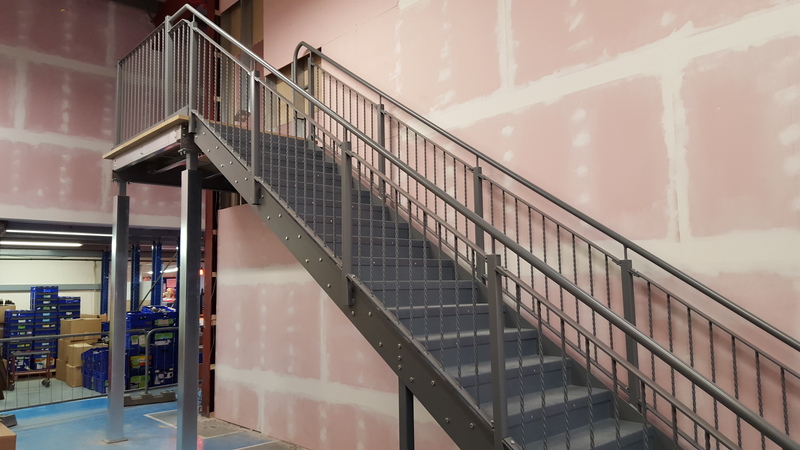 Part of the design solution included a close pitched twisted steel bar balustrade which we realised during the design process was much heavier than a conventional design. 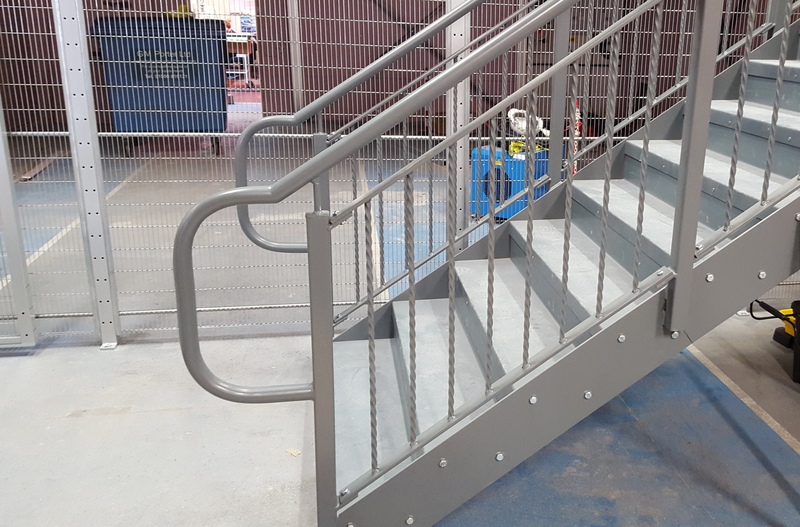 This necessitated a modular prefabricated kit fabrication to enable the stairs to be easily and safely built on site. We provided exactly the look and finish our client was trying to achieve, without sacrificing practicality, legislative compliance or value for money. This fascinating project was unusual from the very beginning because of the importance placed on the visual design and appearance.